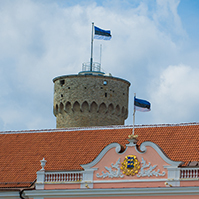 The Riigikogu passed with 79 votes in favour the Bill on Amendments to the Income Tax Act (275 SE), initiated by the Government. 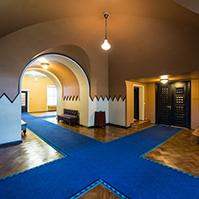 The aim of the amendments is to eliminate unequal treatment of investment funds which has been highlighted by the European Commission within the framework of an infringement procedure which has revealed a difference in the taxation of real estate income received by contractual investment funds established in countries of the European Economic Area and the respective income received by comparable Estonian funds. With the amendments, the taxation conditions are harmonised. The Act enters into force on 1 January 2014. The Act on Amendments to the Planning Act, the Immovables Expropriation Act and the Nature Conservation Act (247 SE), initiated by the Government, was passed with 76 votes in favour. The aim of the amendments is to enhance and accelerate the processing of the county plans of infrastructures (line constructions) passing through several local governments. Local governments are released from the obligation to transfer immovables occupied by buildings, as provided for in the Planning Act, and it is provided that, if a need to transfer appears, then either an agreement is entered into under the Law of Obligation Act, or the Immovables Expropriation Act is applied. This will help prevent the situations where local governments refuse to concert such plans and to enter the location of a line construction in the comprehensive plan because this may bring along a situation where a local government will have to unjustifiably transfer an immovable while the obligation to transfer should in fact lie with the person interested in the construction of the line construction planned by the plan. 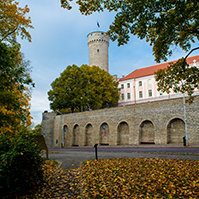 On the basis of the Government’s action programme for 2011‒2015, the Government has set as its aim the acceleration of the processing of land use permits in the case of large infrastructure projects, and one of the aims of the Government is also to improve the functioning of the legal system. The Act enters into force on 1 March 2013. The Act on the Ratification of the Amendments to the Rome Statute of the International Criminal Court (323 SE), initiated by the Government, was passed with 62 votes in favour. These amendments to the Rome Statute of the International Criminal Court were decided at the Review Conference in Kampala, Uganda, in 2010, and the aim of the amendments is to create preconditions for imposing individual criminal responsibility for crimes of aggression on political and military commanders. Thus, the immediate target group includes the political and military commanders who have effective power in a respective country. The amendments also protect the potential victims of crimes of aggression. According to the amendments, the International Criminal Court imposes the responsibility and exercises jurisdiction over the crimes. On the motion of the Cultural Affairs Committee, the first reading of the Bill on Amendments to the Media Services Act and Associated Acts (336 SE), initiated by the Government, was concluded. The aim of the Bill is to create a legal regulation and administrative organisation which would meet the principles of the European Union and the Council of Europe in the media services field and would help ensure the independence of the regulatory body. According to the Bill, the functions of the regulation and supervision of media services will be assigned to the Technical Surveillance Authority operating within the area of administration of the Ministry of Economic Affairs and Communications. Its task would be the evaluation of the applications submitted to the competition for the activity licences for the provision of media services, the granting of licences, the registration of on-demand audiovisual media services, the supervision of compliance with the requirements of the Act and the conditions of the activity licence, and the imposition of state coercion. In addition, the Authority should also engage in the collection and analysis of the information necessary for the assessment of the application of the Act and the developments in the field; the provision of guidelines and recommendations for application of the requirements set out in legislation; the submission of reports to the European Commission who verifies compliance with the directive, etc. The Bill was sent to the second reading. On the motion of the Rural Affairs Committee, the first reading of the Bill on Amendments to the European Union Common Agricultural Policy Implementation Act (348 SE), initiated by the Government, was concluded. According to the Bill, transitional aid will be granted to farmers in 2013 under the same conditions as the ones applied to direct payments in 2012. The aim of the Bill is to avoid a degradation of the economic situation and a reduction of the competitiveness of farmers in 2013 which would result from the loss of complementary direct payments without implementation of transitional aid. The European Union Common Agricultural Policy Implementation Act is amended by adding the necessary bases for granting transitional aids. All provisions concerning complementary direct payments established in 2012 will apply to transitional aid and the implementation thereof will not involve contentual amendments in the requirements and the procedure for receiving the aid. The Bill was sent to the second reading. On the motion of the Economic Affairs Committee, the first reading of the Bill on the Denunciation of the Convention Concerning the Formation of an International Union for the Publication of Customs Tariffs (324 SE), initiated by the Government, was concluded. The aim of the Bill is to denounce the Convention Concerning the Formation of an International Union for the Publication of Customs Tariffs. At present, the field is regulated by Council Regulation (EEC) No 2658/87 and the International Convention on the Harmonized Commodity Description and Coding System adopted by WCO (World Customs Organisation), which in conjunction with the Council Regulation regulates this field in significantly more detail. The International Union for the Publication of Customs Tariffs was formed in Brussels on 5 July 1890. 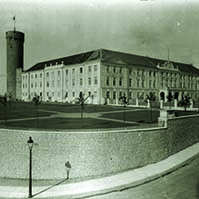 The Estonian Government decided to accede to the Union in 1921 and the Riigikogu approved the accession in 1923. The Bill was sent to the second reading. 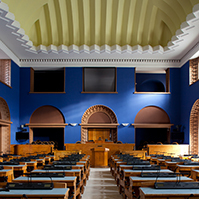 On the motion of the Finance Committee, the first reading of the Bill on Ratification of the Convention between the Government of the Republic of Estonia and the Government of Turkmenistan for the Avoidance of Double Taxation and the Prevention of Fiscal Evasion with respect to Taxes on Income (341 SE), initiated by the Government, was concluded. The aim of the Convention to be ratified is to facilitate investments between Contracting States. As an international law instrument, the Convention grants greater legal certainty to investors, as compared with a national legislative act, in regard to these elements of the tax system that are regulated by the Convention, because amendment of a bilateral international convention is generally more time-consuming than amendment of a national legislative act. For the achievement of these purposes, the Convention imposes restrictions on income taxes which may be established to the residents of the other state by the state of the source of income, ensures equal treatment of persons and eliminates possible double taxation. The obligation of mutual exchange of information provided for in the Convention will create additional possibilities for prevention of tax evasions. The Bill was sent to the second reading. On the motion of the Environment Committee, the first reading of the Bill on Amendments to the Nature Conservation Act and the State Assets Act (289 SE), initiated by the Government, was concluded. The aim of the Bill is to make transactions conducted with state land as clear and understandable as possible, to ensure purposeful use of state budget funds and to bring the receiving of the compensation for nature conservation restrictions to common grounds. The Bill eliminates the possibility, provided for in the nature Conservation Act, of transfering to the state an immovable with a nature conservation restriction acquired before 1 April 2007 if the owner was aware of the nature conservation restrictions applied thereto already at the time of the acquisition of the immovable and no stricter procedure for protection thereof has been established subsequently. It will also eliminate the possibility of offsetting the cost of the assets acquired upon transfer of state assets by auction on the basis of the State Assets against an immovable with nature conservation restrictions in the ownership of the winner of the auction. Many problems and questions have emerged upon application of both of the abovementioned regulations, including as regards purposeful and reasoned use of state budget funds, ensuring equal treatment of persons, etc. The initiator stated that continuation of the current practice would not be justified. The Social Democratic Party Faction moved to reject the Bill at the first reading. 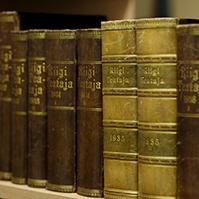 11 Members of the Riigikogu voted in favour of the proposal, 38 voted against and 1 member of the Riigikogu abstained. Thus, the motion to reject was not supported and the Bill was sent to the second reading. On the motion of the Environment Committee, the first reading of the Bill on Amendments to the Land Reform Act and Amendments to Other Acts arising therefrom (335 SE), initiated by the Government, was concluded. The aim of the Bill is to solve the problems that have appeared in the law that is currently in force and to provide for the changes necessary for speeding up the completion of the land reform. The main problems that are intended to be solved with the Bill and the main aims of the Bill are the following: the regulation of the acquisition of the land necessary to service a construction in common ownership in situations where any of the co-owners does not wish to acquire the land; the solution of the problems related to the acquisition of land units which cannot be used independently and which are bordering on an immovable; the reduction of the amount of land retained in state ownership encumbered with the right of superficies for the benefit of owners of existing structures; the provision of the obligation to carry out the land reform as regards the land granted for use pursuant to Estonian SSR Farm Act; and the establishment of the deadlines necessary for faster completion of the land reform. The Bill was sent to the second reading. On the motion of the Environment Committee, the first reading of the Industrial Emissions Bill (345 SE), initiated by the Government, was concluded. The Bill provides the requirements for operating in the main industrial fields in order to reduce and prevent pollution from industry. The provisions of the current law are harmonised and organised, a more uniform system of concepts is used and conflicts with European Union law are eliminated. An important contentual amendment is the requirement to use the best available technology in installations which have the obligation to hold an integrated environmental permit. The Bill also establishes an environmental control system based on risk appraisal, and greater opportunities for the public to participate in the processing of integrated permits. Also, arising from Annexes to the EU directive, more stringent emission limit values are set as compared with the earlier ones. The Bill was sent to the second reading. On the motion of the Environment Committee, the first reading of the Hunting Bill (351 SE), initiated by the Government, was concluded. The Hunting Act provides for the creation and use of hunting districts, the observation of wild game animals, hunting quotas and structure and other bases of hunting, determines the documents certifying hunting rights, and provides for compensation for the damage caused by wild game animals, and state supervision and liability. According to the Minister of the Environment Keit Pentus-Rosimannus, the Bill is aimed in the first place at the protection and control of wild game populations, and above all with a view to the preservation of favourable conservation status of the populations as well as the ecological balance of habitats and species. The Bill also amends the Environmental Charges Act, the Nature Conservation Act, the Weapons Act and the State Fees Act. The new Hunting Act is planned to enter into force as of 1 March 2013. The Bill was sent to the second reading. The sitting ended at 18.35 p.m.